What do you think Merkel and Obama are up to? Is he still looking for a country to become a citizen of? Let them plot all they want to. Here in America things are looking better every day. Bob Mueller Is So Satisfied with the job William Barr is doing in preparing the final report, he's preparing to ride off into the sunset with no complaints. Can't you just hear liberal screaming, god Mueller please don't leave us! Hmm. I've seen that person here before. Also, believe there are 195 countries total, give or take a couple. I just double checked serialbrain's math using the spreadsheet... as much to check spreadsheet working correctly... same answer so all good! No Better Confirmation than you, Sufi. Thank you. Obviously some changes have occurred in our world since the 2009 statistic I was citing. DJT: “The system is full. We can't take you anymore. Whether it's asylum, whether it's anything you want...So turn around. Human trafficking...it's ancient, and it's never been bigger than it is modern, right now today...All over the world, by the way, not just here." Oh boy. 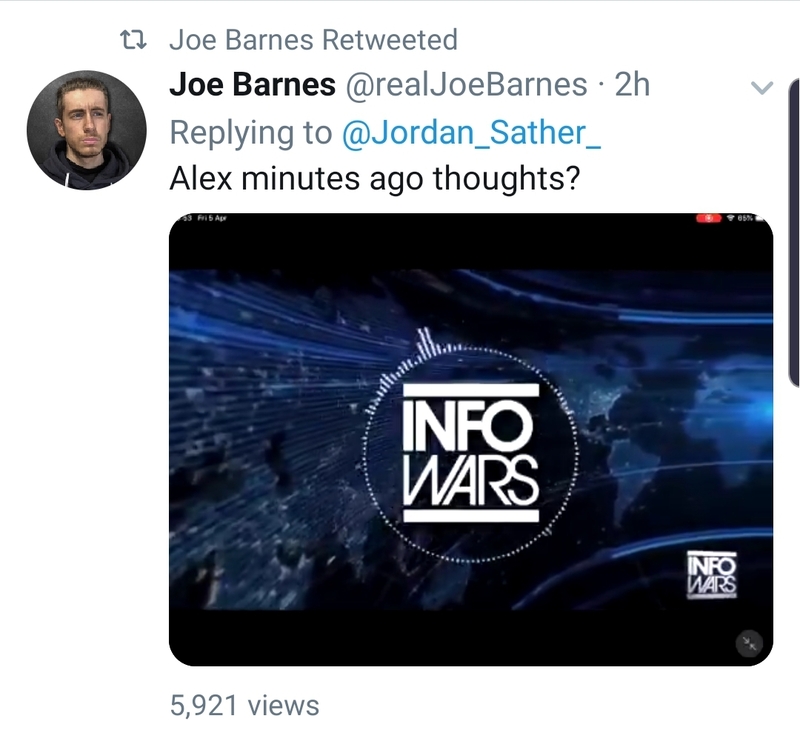 Today Alex Jones finally had to utter the words " Q is right, I have to eat crow."